Our military storage lockers and readiness lockers from FSS provide instant, versatile, and safe storage for equipment and belongings while providing ventilation and lighting for the contents. The available sliding door option is ideal for long aisles of tandem lockers without aisle space, yet they are sized to not interfere with adjacent personnel lockers. Modify the layout and sizes as necessary. 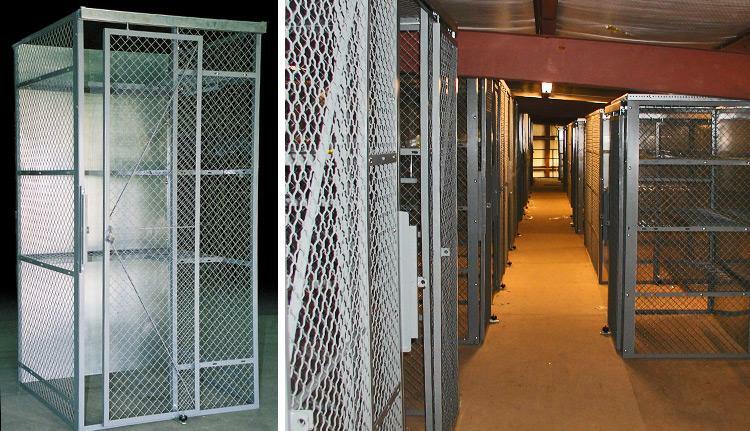 FSS military storage lockers are also available in a high-security 6-gauge welded wire unmatched in the industry. A welded wire shelving system is included with your storage lockers. Other options are available such as interior garment hangers.